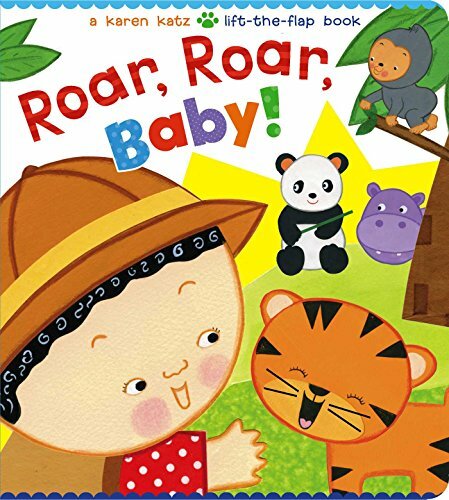 Obtenez le livre Roar, Roar, Baby! (Karen Katz Lift-the-Flap Books) par Karen Katz au format PDF ou EPUB. Vous pouvez lire des livres en ligne ou les enregistrer sur vos appareils. Tous les livres sont disponibles au téléchargement sans avoir à dépenser de l'argent. Oh, boy! Get ready to roar and play peekaboo with this interactive Karen Katz lift-the-flap board book starring all your favorite zoo animals especially the tiger! "Is the little tiger behind the bamboo leaves?""Crunch-crunch!""No! This is a cuddly panda!" In this interactive board book from Karen Katz, little ones can lift the flaps on each page to reveal adorable animals at the zoo! There s a tall giraffe peaking above a gate, a happy hippo floating in a pool, a cuddly panda crunching on some bamboo, and much more! But where is the tiger? Filled with Karen s signature bright, striking art, this board book with its sturdy, easy-to-lift flaps is perfect for parents and children to share." Karen Katz has written and illustrated more than fifty picture books and novelty books including the bestselling Where Is Baby's Belly Button? After graduating from the Tyler School of Art in Philadelphia, she attended the Yale Graduate School of Art and Architecture where she became interested in folk art, Indian miniatures, Shaker art, and Mexican art. Her book, Counting Kisses, was named one of the 100 Greatest Books for Kids by Scholastic Parent & Child and was a Children's Book-of-the-Month Club Main Selection. Karen, her husband Gary Richards, and their daughter Lena divide their time between New York City and Saugerties, New York. Learn more about Karen Katz at KarenKatz.com.